Oregon Lithoprint has long term relationships with many of the Northwest's most respected colleges and universities. 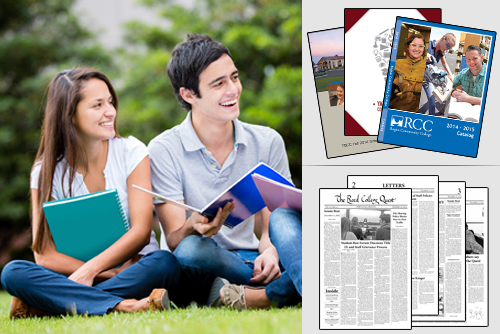 We specialize in the printing of academic publications including catalogs, class schedules, student newspapers, textbooks, journals, and other materials central to the mission of post-secondary and higher learning institutions. Ready to get started? Click here to submit an estimate request. Need more information? Click here to see our full range of products in the customer service center. * Oregon Lithoprint also offers in-house direct mail services.